Unfortunately at the end, this cookie trusted a sly fox who tricked the Gingerbread man and devoured him. 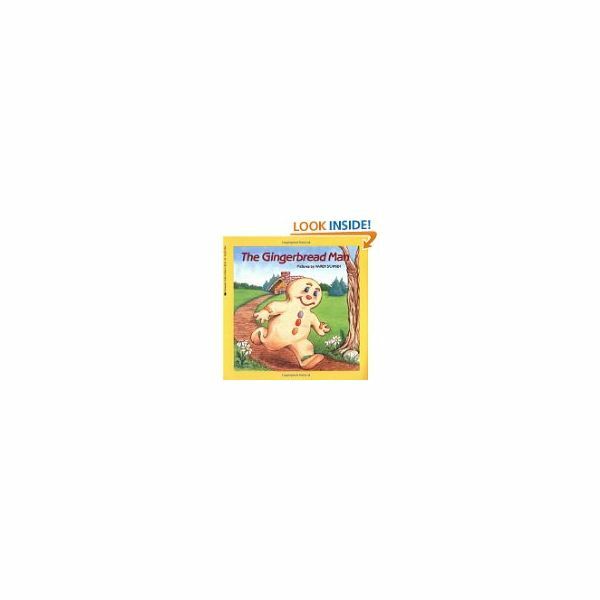 After reading and comparing stories, present preschool gingerbread man story activities for the children to enjoy. Below are a few ideas to try. Before beginning your unit on The Gingerbread Man, ask the children if they have ever eaten gingerbread or had a gingerbread cookie. Discuss how this cookie relates to the stories. Did they like the taste of the gingerbread? Does anyone know the spices inside the cookie mixture? First make a pattern of the gingerbread cookie and have the children trace around it on brown butcher paper (or from grocery bags). Help them cut out the pattern using safety scissors. Invite the children to decorate their gingerbread cookie man using crayons or markers. Make sure to include facial features and some buttons down its front. For a sweet smelling cookie, invite the children to brush school glue all over their cookie pattern. In a bowl, combine the spices of gingerbread, which are cinnamon, ground ginger, nutmeg, and ground cloves. Encourage the children to use a plastic spoon and sprinkle these spices onto their cookie pattern. Let dry thoroughly. Hang the decorated cookies in the classroom and enjoy the pleasant fragrance. Your students will enjoy making their own classic story page. Copy and duplicate the following story lines. Leave enough room at the top of the paper for the children to illustrate their own story. Have the children choose an animal that they would like their gingerbread man to meet and write this for them on the dotted line. The children can draw a picture that corresponds with their chosen animal. Hang these on a bulletin board for all to see. "Stop, stop!" said the __________________. "Run, run, as fast as you can! You can't catch me, I'm the Gingerbread Man." 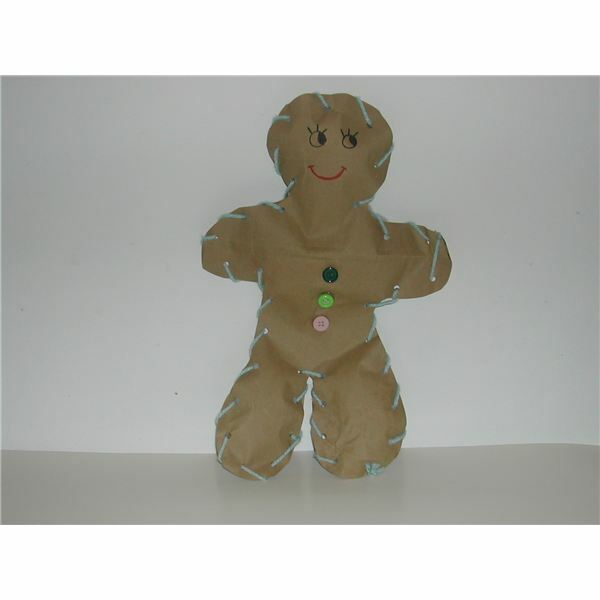 Use the gingerbread man pattern again and trace two copies for each child from brown paper grocery bags. Invite the children to decorate the character as they wish. They can use crayons, markers, felt pieces, buttons, fabric and so on. Show the children how to punch holes (with a hole punch) close to the outside edge, all around both gingerbread men. The holes must be the same on both pieces. Cut a 3-foot piece of yarn to lace around the gingerbread man, in and out of the holes. Leave a space to fill the puppet with tissue, polyfiber filling, or cotton. Then, finish stitching him up. Now, the children can use their stuffed gingerbread man puppet to help act out the story. This is a sorting game teachers can make for their class. 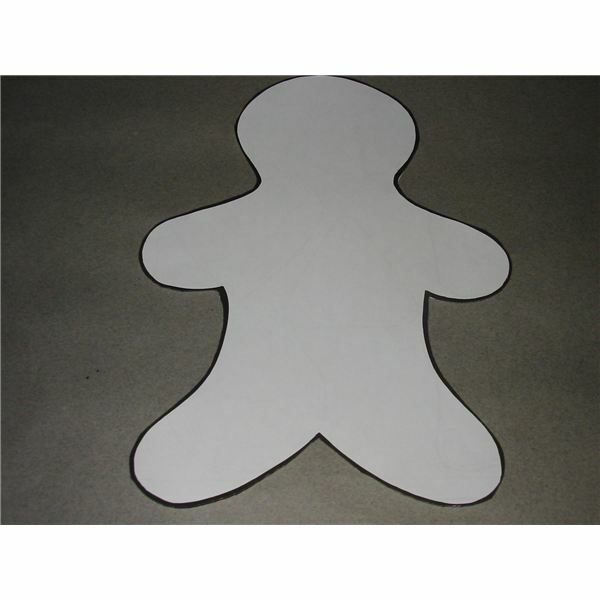 Cut 12 gingerbread men from brown posterboard or cardboard. Divide the shapes into three equal piles. Make colored buttons from construction paper and glue them onto the gingerbread men shapes. Use red for one pile, yellow for the second group, and blue for the last pile. Place these into a box and mix them up. On the table, place a sheet of red, yellow, and blue construction paper. Invite the children to sort the gingerbread men into sets according to the colors on their buttons. Increase interest in this classic story and children’s literature by having your class participate in these fun crafts and activities. Discuss the situation about how the sly fox convinced the gingerbread man to jump on his back to cross the river. Should he have trusted someone he didn’t know? What happened to this poor character? This may be a good time to incorporate stranger danger into your theme. Based on personal classroom experience.